With our extensive coverage of the UK we can normally get you Double Glazing quotes from a number of UK installation companies. If you are looking to install a conservatory or UPVC extension, we can help by getting you up to 4 quotes at the push of a button. If you are looking for professionally-installed replacement doors we may just be able to help. Send us your requirements and we’ll match you to some of the cheapest companies on the internet. If you need to get an idea of the cost of replacement windows you can fill out our simple form and we’ll do our best to get you 4 quotes from local installers. Alldoubleglazing.co.uk is a comparison website aimed at people that want to get quotations for new or replacement windows, or, want to find out more about the advantages of installation. 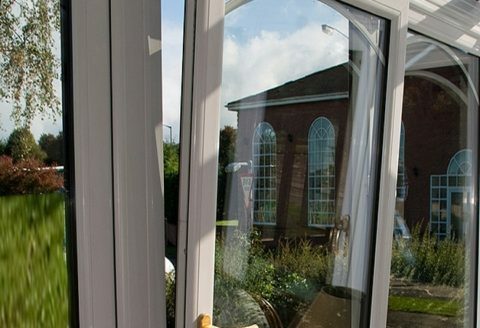 Double-glazing has become increasingly popular in the UK as people bid to reduce the size of their energy bills and look to make their properties more secure. We aim to be a one-stop resource; somewhere that you can get a quote, or, answer any queries you may have. Double-glazing prices can vary enormously, so, its best to get a range of quotations. This is one area that has become incredibly popular online as consumers find that by shopping around they can make huge savings. The difference between the highest and lowest quote will often run into hundreds, or even thousands, of pounds. This is normally because some installers consider themselves to provide a better service than others. This may be true, it may not be, you are free to decide. We hope we can make it simple for you to find a well-priced supplier or installer to do your work. Look out for Special Offers & Discounts from all over the UK. You can look forward to getting the most competitive prices by comparing written quotes from independent accredited companies. 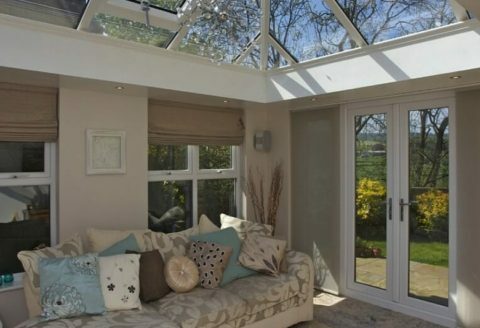 Conservatory costs can vary enormously because different companies offer different services. At the bottom you’ll find installers that are cheap and cheerful but could offer you incredible value, whereas, at the top end you’ll find prestige companies that offer you everything you could ever want. Its horses-for-courses really. Everybody will have an idea of budget and expectations which its why it’s important to get a number of quotes. Our system will use the details you supply to find up to 5 installers that match your requirements. It only takes a minute to enter your details and it will go a long way to helping you find a company that can help find a fair-price. We have a whole bunch of conservatory installers desperate to give you a quotation but we limit it to 5 so that you don’t get inundated. Once you’ve entered your details we’ll use our software to match you to companies operating in your area. Your quotations will normally be tailored so the time it takes to receive them will depend on the times that the company operates when you put the enquiry through. If you were looking for an online quotation you may well find one but it’s questionable how accurate they will be. Probably best to use a service like ours which is a little more personal. If you are looking for replacement doors, then we can help. Our installers are ready to supply quotes & by comparing prices you could save yourself a small fortune. It only takes a minute to fill in our form that could save you hours. Just enter your details once. One form = up to 6 quotations. It’s really simple. We have hundreds of professional door installers on our database and our superb software makes it easy for us to match you to those that best fit your requirements. It’s a great service (we think, but I guess we’re a tad biased!) and our clients can make huge savings just by comparing quotes. So, what are you waiting for? Why not enter your details right away? One of the most common problems with double glazing is when condensation begins to form between the two panes. When the sealed units are manufactured the air gap usually contains dehydrated air, or inert gases, and the spacer contains a silica gel which dries out moisture. The only way to solve this is to replace the sealed unit. It’s a fairly obvious suggestion but as with any purchase it’s well worth researching and getting a selection of quotes for your replacement double glazing. 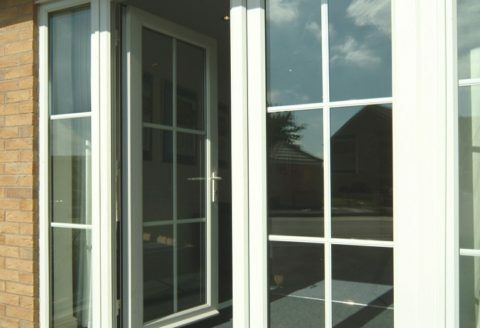 Many people are put off by the reputation of double glazing salesmen, do not be pressured into signing anything until you have compared several quotes, both for cost and standard of their product. Whilst some salesmen will try the high pressure sale (“we can give you a discount if you sign now”) and try and stay as long as possible in your house to wear you down into agreeing with them, most are more professional. If you encounter a sales person that you dislike, ask them to leave. They have no right to pressure you into making a decision before you have considered your options.